Light blue starry flowers in late winter, the low height making them ideal for borders. They quickly estabish to make showy clumps. Minimum quantity of 25 applies. 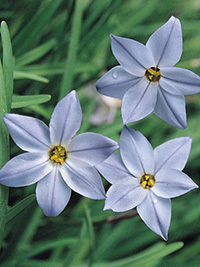 Light blue star shaped flowers quickly form showy clumps. Late winter flowering. Size 3/4.